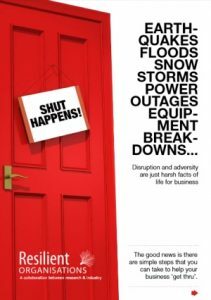 Getting your business ready to ‘get thru’ is partly about doing some planning and partly about ensuring you develop practices to become more resilient. This short guide will take you through steps that help you with both. Each area will have a what, a how, and a why, as well as links to further resources or help at the end of the guide. It’s not hard. There are simple, practical easy things that will get you well on the way to surviving in a crisis and potentially thriving in the aftermath.